From time immemorial Catholics have had the custom of paying special tribute to the Mother of God by placing a crown on her head. Whether richly decorated diadem or simple circlet of flowers, these crowns are earthly symbols of the fifth glorious mystery of the rosary in which we recall the Coronation of the Blessed Virgin in heaven. This popular devotion has a special spiritual significance: the gift of oneself. The offering of the crown represents that act of placing oneself under the guidance and protection of the Mother of God that she may rule over our hearts. 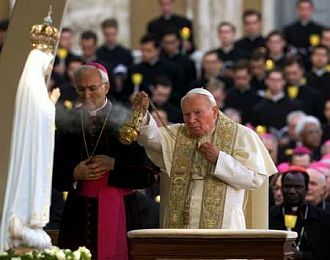 Over the centuries the Sovereign Pontiffs have personally presided over such celebrations crowning statues of Our Lady at important Marian shrines and have richly endowed such occasions with blessings and notable indulgences. 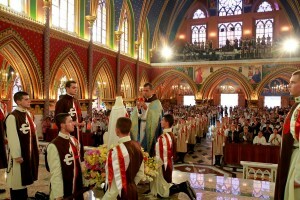 On missions carried out by Heralds of the Gospel in a parish or diocese, the coronation of a statue of the Blessed Virgin Mary holds a special place. After an explanation of the symbolism of the act, someone from among the faithful in the cathedral or parish church will be invited to crown the statue. This moving spiritual gesture will be repeated in every home, store, shop, hospital or chapel where circumstances permit. 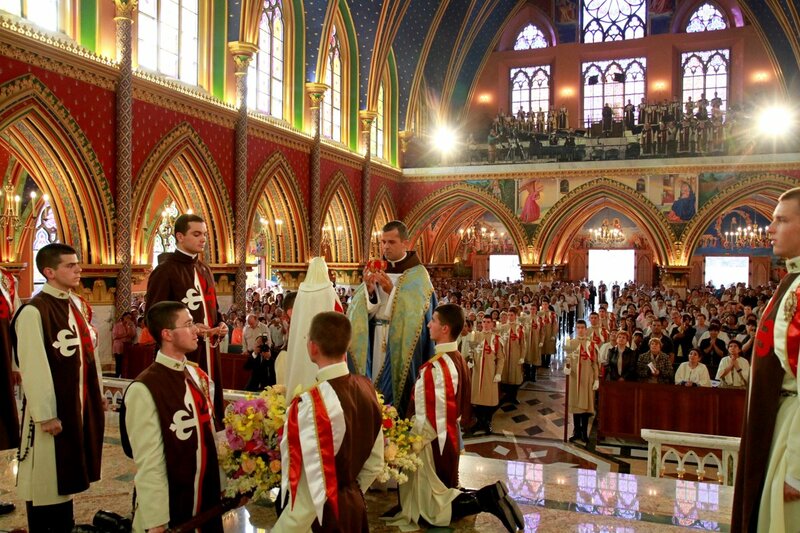 On some special occasions, a much larger contingent of Heralds will be called upon to celebrate special feasts and solemnities: the patron saint of the diocese, the anniversary of the episcopal ordination of the bishop, or the inauguration of a new church or diocesan apostolate, for example. This will include a substantial choir and orchestra and with the addition other young people to play a role in the ceremony. 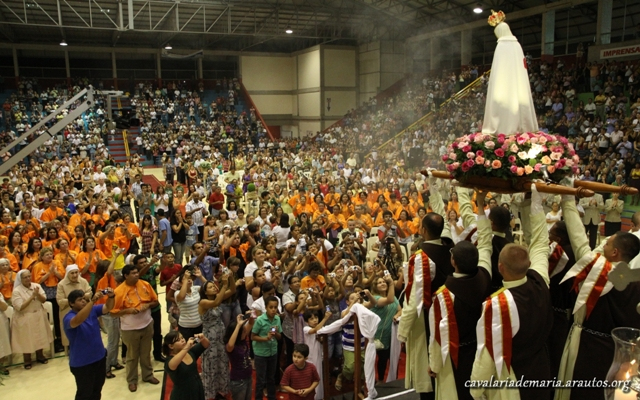 Carried in a series of beautiful successive processions culminating with the arrival of the statue of the Blessed Virgin followed by the crowning and the consigning of the rosary. A narrator explains each step of the ceremony and its symbolism and invites the faithful – as recommended by St. Augustine – to be spiritually united with the heavenly liturgy. 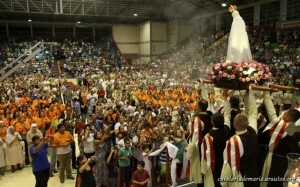 This manner of “living the liturgy” has proven to be an exceptional occasion of grace for the entire community. You also can receive the Pilgrim Statue of the Immaculate Heart of Mary in your home.